Amor Sexton is a lawyer in a commercial law firm based in Sydney, Australia and is widely recognized as Australia’s first Digital Currency Lawyer. 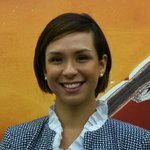 Amor has also recently joined the team at igot.com as Global Strategy Director. Amor is a Leader member of the Digital Currency Council. You can learn more about Amor on her DCC member profile. Western Union released a reporton the role of women in global remittances. According to the report, women currently move 50 percent of the estimated $582 billion global remittances, and they send a greater percentage of their wages than men. Women also are the largest group of recipients, receiving over two-thirds of remittances. The flow of money to these women can be a matter of life and death if they have no alternative means of earning a living. The United Nations reports that despite women working two-thirds of the world’s working hours and producing more than 50 percent of the world’s food, women earn only 10 percent of the world’s income and own less than 1 percent of property. With the flow of remittance having such a major impact on the lives of so many women, it is fitting during Bitcoin Women’s Week to consider how digital currency may be able to help. How can digital currency make a difference? The global remittance market is ripe for disruption from a low-cost, frictionless value transfer mechanism such as Bitcoin. The remittance market is plagued by commercial monopolies, outrageous fees and opaque transfer records. The World Bank reports that the average cost of sending money through commercial banks is around 12 percent, and the global weighted average cost of sending money through all channels is about 8 percent. Alternative remittance services can provide lower cost alternatives to commercial banks, but they often rely on risky internal processes such as “netting out.” An example of a netting out process is where a person in Australia (Company A) has an agreement with a person in Cambodia (Company C). The sender in Australia pays Company A and the receiver in Cambodia is paid by Company C. However, no physical transfer of currency takes place between Company A and Company C.
These informal transfer systems present significant regulatory challenges due to the lack of transparency in the transactions. Effective monitoring of these systems is entirely reliant on the accuracy of the records that both Company A and Company C keep. It is a regulatory double-entry nightmare. Online and account-to-account services still make up only around 17 percent to 20 percent of global money transfers. But the adoption of mobile technology will see the digitization of remittances increase rapidly in the near future. With estimates that mobile phone use in Africa alone will increase twentyfold in the next five years, and reports of smartphones retailing for less than $50, a mobile-driven digital currency such as bitcoin could find a comfortable home. The Opportunities of Digitizing Payments report says that this mobile finance revolution could have a direct positive impact on women’s economic empowerment. With women unable to access traditional banking services in many countries, the ability to use mobile technology to send and receive funds will facilitate financial inclusion for women. Digital currency also has the potential to solve both the cost and regulatory issues with remittance. Transfers on distributed ledgers, such as the blockchain, provide a transparent public record of transactions that can be settled for nominal amounts. Technology such as Eris Industries’distributed application stack can take this a step further by enabling distributed ledger technology to be employed in an internally fully auditable, yet externally private transfer system. Bitcoin companies such as BitPesa, Rebit.ph and igot.com are actively working on opening remittance corridors and using bitcoin to facilitate the flow of money in a cost-effective and transparent manner. With BitPesa in Africa, Rebit.ph in the Philippines, and igot.com in more than 40 countries, bitcoin is starting to make a splash in the remittance markets. With a presence in both the United Arab Emirates and India, igot.com operates a strong remittance corridor between these two countries. In the Philippines, Rebit.ph reports that they had more volume in February 2015 than their entire volume since they launched. The low transfer cost also has resulted in transactions as low as $10USD being made on their platform. What challenges does digital currency face? A significant challenge for digital currency remittance businesses is the cost of regulatory compliance. As Juan Llanos (contrarian compliance consultant extraordinaire) regularly points out – compliance is more than just having a written policy document. Substantive regulatory compliance requires constant monitoring of transactions and vigilance in the identification and authentication of customers. Rick Day, co-founder of igot.com, reported recently that his company has stopped more than $1.2 million in fraudulent transactions in the last 6 months alone. This hasn’t been an easy process. To reach this level of fraud detection, igot.com has had to introduce extra KYC measures such as Skype verifications, and intensive manual oversight of the transaction monitoring system. Vigilance is resource-intensive and costly. In the very near future, technology like Subledger’s Continuous Real-time Auditing project or Coinalytics’ AML risk profiling may increase efficiency and reduce costs. If they do, it will be another way that distributed ledger technology has helped improve the remittance process. For the billions of women around the world who rely on remittances, this can only be a good thing.